SAN FRANCISCO--(BUSINESS WIRE)--Social video platform Twitch today announced it will host a free 18-day, 886-episode marathon of the beloved PBS KIDS series Mister Rogers’ Neighborhood, from The Fred Rogers Company. This shared viewing experience on www.twitch.tv/misterrogers starts on May 15th at 12:00pm PT and ends on June 3rd. The marathon features the most comprehensive collection of episodes available, including many that have only aired once and are unavailable elsewhere online. 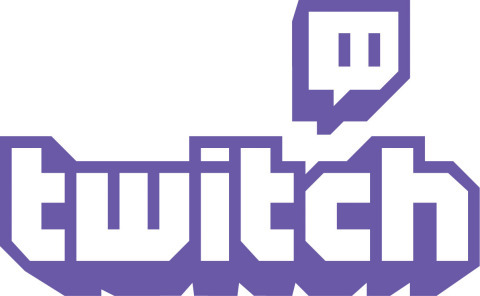 Twitch will also run a fundraising campaign, during which viewers will be encouraged to show support for their local PBS station. Mister Rogers’ Neighborhood debuted in 1968 and aired on PBS for decades. Grounded in an innovative social-emotional curriculum, the show starred the legendary Fred Rogers, who spoke directly to viewers, performed songs, created arts and crafts for viewers, and took them on tours of real-life locations. Each episode ended with the same positive message for viewers: because we are all unique, we make each day special by being ourselves, and people can like us just the way we are. Every episode, dating from the show’s premiere, will stream consecutively throughout the month of the marathon. There will be additional mini-marathons in the following weeks, giving viewers the opportunity to enjoy their favorite episodes once again. All proceeds from the campaign within the United States will support local PBS stations. Twitch will be featuring a donation panel on the channel at www.twitch.tv/misterrogers. To further encourage support of PBS, Twitch Partners will be sharing personal stories about the importance of PBS and the impact of its programming. These spots will run throughout the marathon. Mister Rogers’ Neighborhood joins a growing list of public television programming that has aired on Twitch to positive viewer reception. Much like Bob Ross’ The Joy of Painting and Julia Child’s The French Chef, Mister Rogers’ Neighborhood represents the art of educating, making it a perfect fit for Twitch’s growing catalog of non-gaming content. The company was founded by Fred Rogers in 1971 as the non-profit producer of MISTER ROGERS’ NEIGHBORHOOD for PBS. In the years that followed, it not only created hundreds of episodes of this much-loved program, but also extended Fred’s values and approach to other efforts in promoting children’s social, emotional and behavioral health and supporting parents, caregivers, teachers and other professionals in their work with children. Today, The Fred Rogers Company continues to build on Fred’s legacy in innovative ways through a wide variety of media, and engaging new generations of children and families with his timeless wisdom. The company’s highly rated, award-winning children’s series include DANIEL TIGER’S NEIGHBORHOOD, PEG + CAT, and ODD SQUAD. For more information, visit www.fredrogers.org or follow us on Facebook and Twitter. 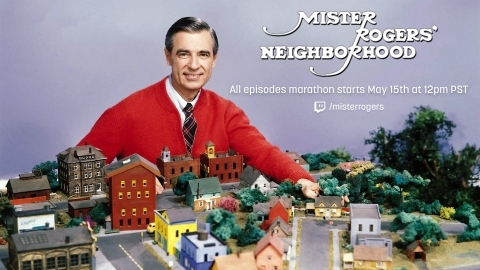 Twitch is streaming a free 18-day, 886-episode marathon of the beloved PBS KIDS series Mister Rogers’ Neighborhood on May 15th. There is also a fundraising component to encourage support for PBS.